Delairea odorata (=Senecio mikaniodes) (Cape-ivy, German-ivy) is a perennial vine (family Asteraceae) found along the coast of California and in the San Gabriel Mountains. 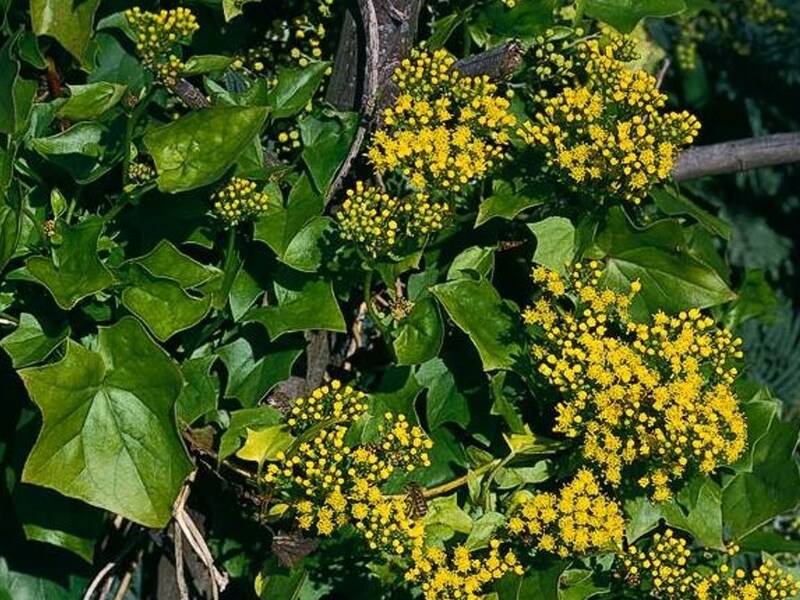 Cape-ivy is especially problematic in coastal riparian areas, though it may also invade inland riparian areas, moist forests, and oak woodlands. Vines are known to form dense mats of vegetation over trees and shrubs, killing plants underneath. It is toxic to animals and fish can be killed when plant materials are soaking in waterways. Stem, rhizome and stolon fragments resprout if left in the ground after treatment.